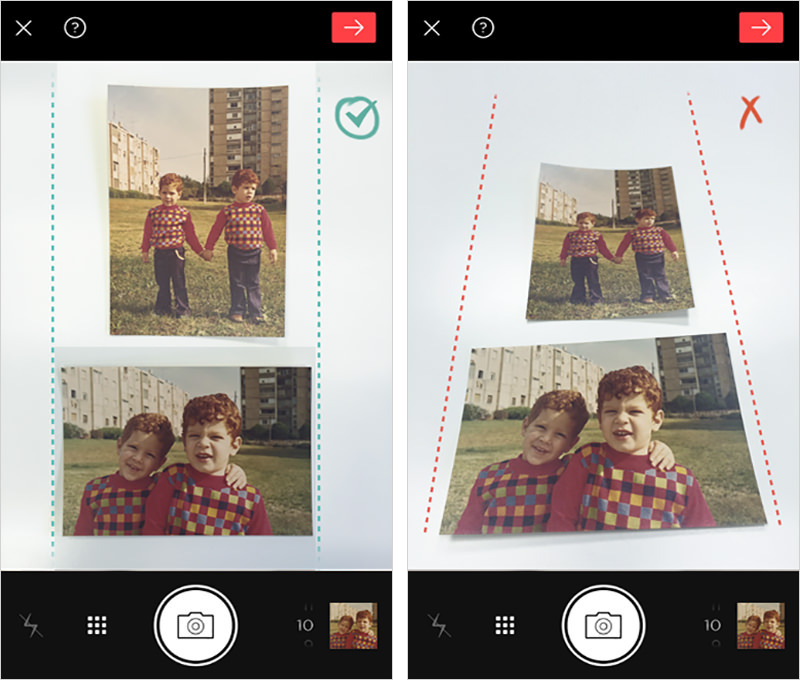 The way you scan printed photographs can affect the final photo scan results. We’ll show you how to scan like a pro. It’s easy! 1. 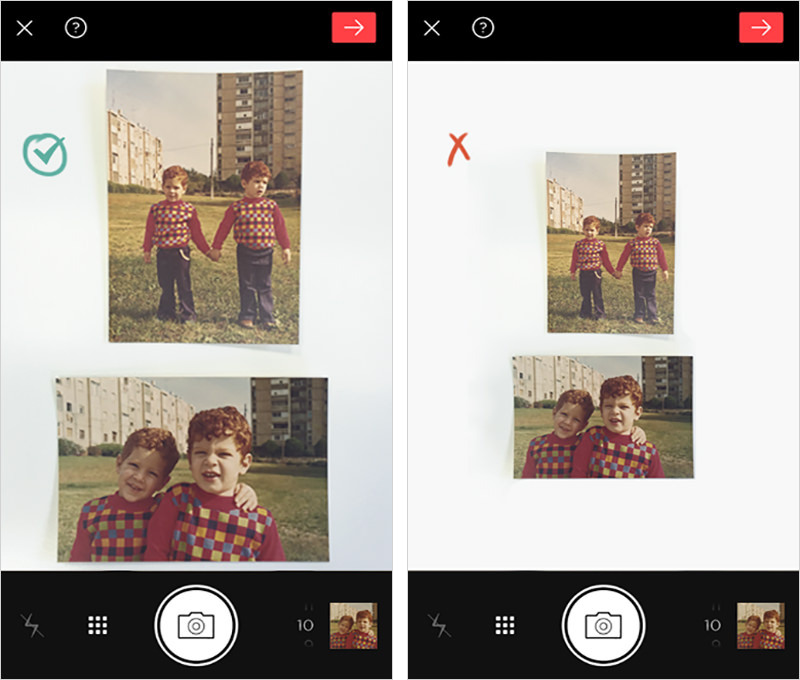 Place your photos on a smooth, even-colored background. 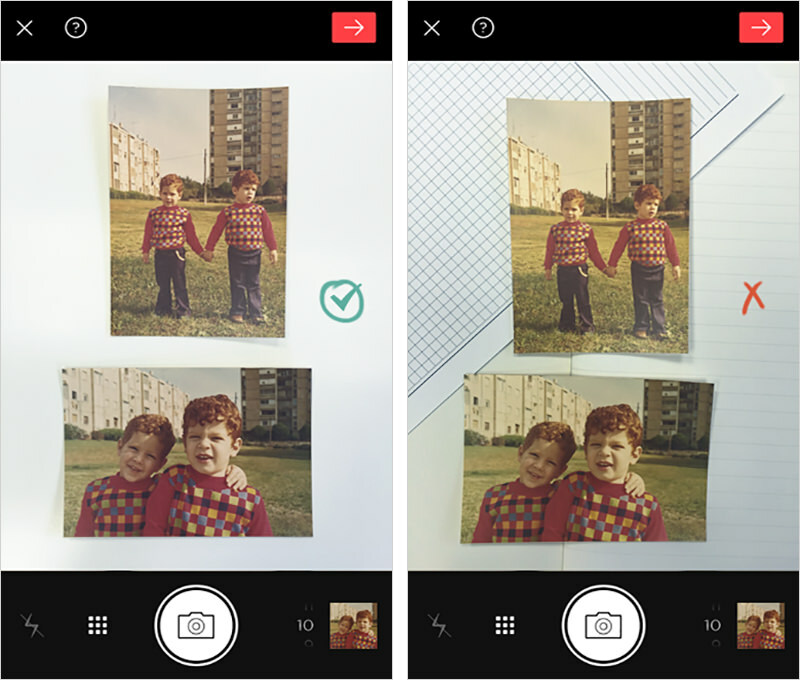 If you’re scanning photos inside a photo album, you can skip this tip. But if you are capturing individual photos scattered on a table or on any other surface, make sure the surface is smooth. Any color or material will do, as long as the surface is consistently even-colored. The right way to do it: Background is a clear, even-colored surface. The wrong way to do it: Background is cluttered and is uneven in color. 2. Position the camera directly above your photos. Make sure to hold your phone so it is parallel with the photos and not in an angle. The right way to do it: the camera is held right above the photos, in parallel with the table/surface. The wrong way to do it: the camera is held at an angle, causing photo distortions. 3. Have the photos take up as much space of the camera screen’s frame as possible. The best way to do so is to hold your device close to the photo- so it takes up the maximum space inside the frame, with little margins as possible. 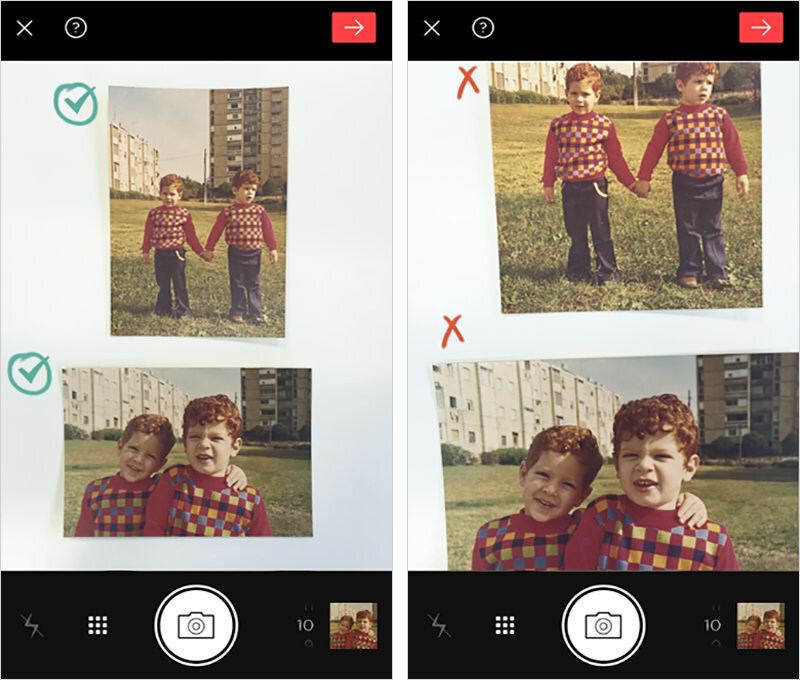 The right way to do it: Photos take up most of the scanning screen space. The wrong way to do it: Photos take up little space of the scanning screen, margins are too wide. 4. Make sure all 4 corners fit into the frame. Ensure all four edges of the photo you want to scan fit into the scanning screen. 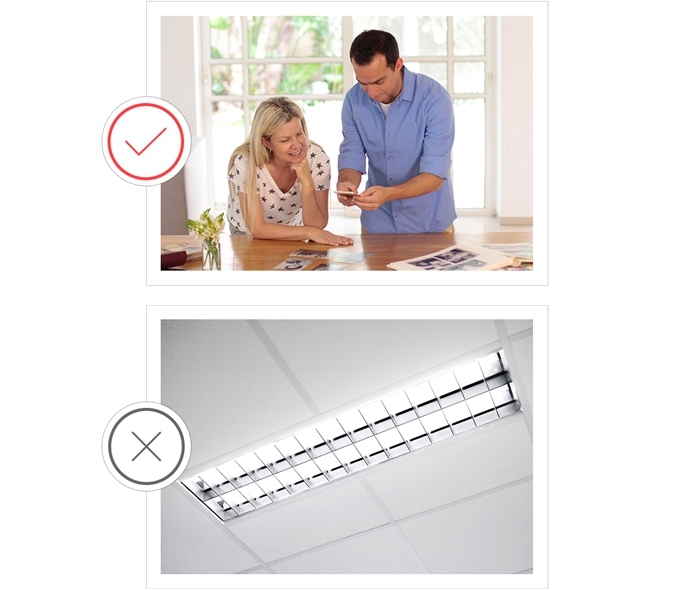 The best way of doing so is having four corners of each photo visible inside the camera’s screen. Making sure all four corners of each photo are included in the scanning screen. Use natural morning light, and avoid artificial lighting. Also, make sure your camera’s flash is turned off. 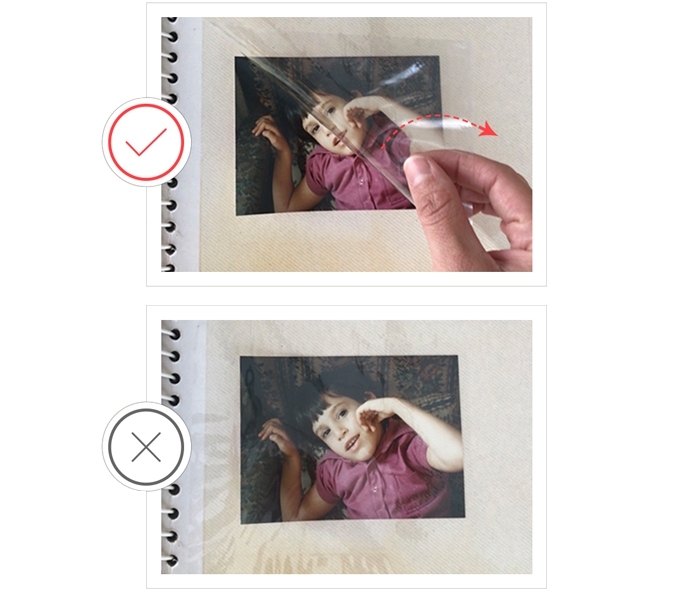 To avoid reflections, remove any plastic sleeves or covering before scanning. That’s it! You’re all set. 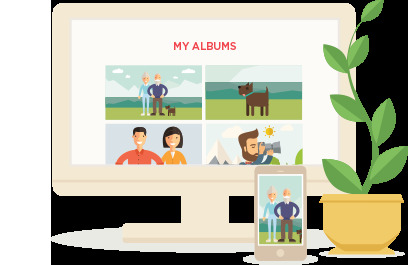 Start scanning like a pro and whiz through entire photo albums in minutes!